Compare Cork Floating flooring against other flooring materials. 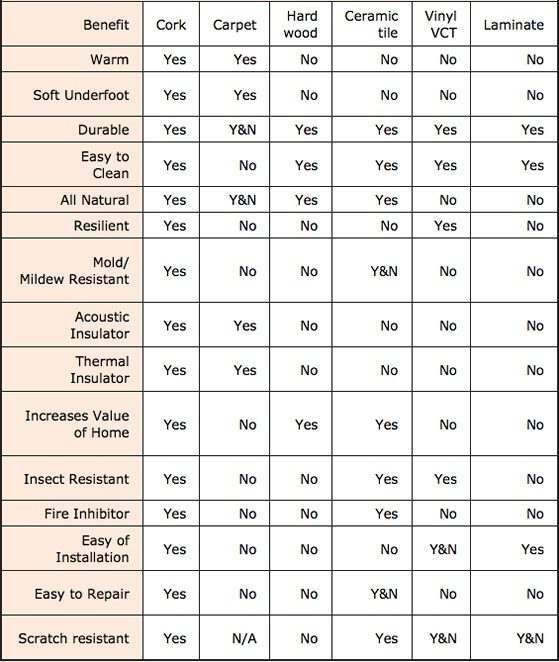 It includes many of the same properties as hardwood and tile yet holds true to many of the benefits of carpet. Some answers are dependent on product and finish – this means the answer can be “Yes” and “No”. This explains the “Y&N” answers in the table below.